Engineers will perform the test to prove that the telescope can operate in space at these temperatures. 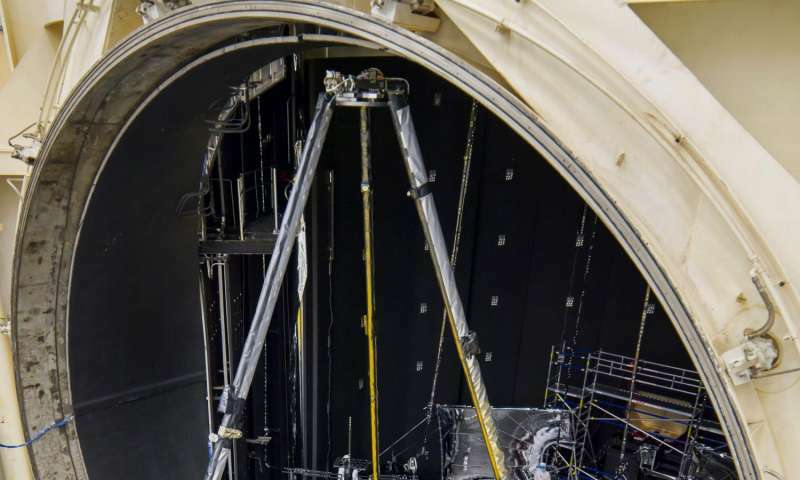 Chamber A will simulate an environment where the telescope will experience extreme cold—around 37 Kelvin (minus 236 degrees Celsius or minus 393 degrees Fahrenheit). In space, the telescope must be kept extremely cold, in order to be able to detect the infrared light from very faint, distant objects. 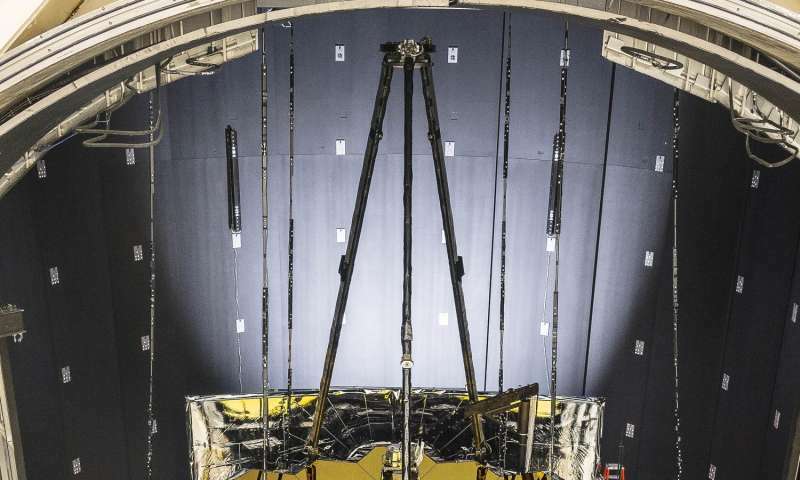 To protect the telescope from external sources of light and heat (like the sun, Earth, and moon), as well as from heat emitted by the observatory, a five-layer, tennis court-sized sunshield acts like a parasol that provides shade. The sunshield separates the observatory into a warm, sun-facing side (reaching temperatures close to 185 degrees Fahrenheit) and a cold side (400 degrees below zero). The sunshield blocks sunlight from interfering with the sensitive telescope instruments.